designed in australia, anamalz are the award winning animal range made from sustainable wood and textile products that have the unique function to bend in different poses. anamalz are made from a wood known as schima superba or “needlewood” a fast growing tree harvested in a forest plantation. Millions of anamalz are carefully hand painted using child friendly paint. Anamalz use formaldehyde free glue and minimal packaging. Even the waste wood is used on a farm to grow mushrooms. Anamalz horns are made with fda approved tpr combined with pine wood powder. This product was developed by anamalz and is an eco alternative to plastic. our development focus is on designing products using safe eco material and creating professional entertainment properties through the web, animation, publishing, music and performance. In becoming a stronger brand, anamalz is able to give to various children and animal charities. Although they are made in China, Anamalz considers the environment and sustainability in every aspect of toy production. Even the waste wood is used to grow mushrooms, and each animal is handmade. They are formaldehyde free. 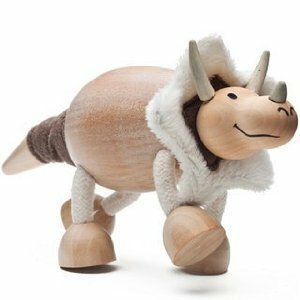 Furthermore, each purchase of these cute, posable toys supports wildlife and children’s organizations throughout the world. There is also a place for children to play online. Would I buy this product? Absolutely YES! « Generation Rx: Is Over-Medication Endangering Our Kids’ Health?